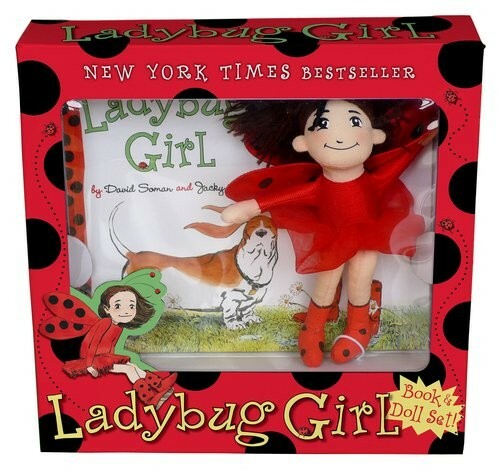 The perfect gift for Ladybug Girl fans: a boxed set that includes the New York Times bestselling book Ladybug Girl in a charming small format, and an adorable mini plush Ladybug Girl toy to cuddle as you read! Now it is even easier for young readers to play along with Ladybug Girl and her dog, Bingo. The plush Ladybug Girl toy is the perfect size for little hands, and is ready for any adventures that kids can dream up. Using your imagination has never been so much fun.